In accordance with the OAAP guidelines, ONTARIO AMATEUR WRESTLING ASSOCIATION develops sport- specific selection criteria and forms a Selection Committee that will apply these criteria. The top-ranked athletes, based on the criteria, will be awarded Ontario Card status in 2018-2019. This Selection Criteria has been approved by ONTARIO AMATEUR WRESTLING ASSOCIATION and reviewed by MTCS staff. Nominated athletes will be required to sign and comply with an Athlete Agreement between the athlete and ONTARIO AMATEUR WRESTLING ASSOCIATION. Carding status will be for one year starting April 1, 2018 ending March 31, 2019. Carded athletes will be required to compete exclusively on behalf of the Province of Ontario at National Championship events and for Canada at International Championship events, for a period of one year from the date carding is approved and acknowledge Ontario as their permanent place of residence on athlete profiles, Media Guides, PSO/NSO and personal websites, and in similar types of public communications. Ontario cards (split evenly as 12 male and 12 female Cards). ONTARIO AMATEUR WRESTLING ASSOCIATION has also decided to exercise the option made available by MTCS to split up to 30% of its carding allotment (i.e. issue ½ cards in designated categories). for "junior athlete" status, (athletes 23 and over). An athlete’s age will be determined as of January 1, 2018. ONTARIO AMATEUR WRESTLING ASSOCIATION is not obligated to assign all Ontario Cards if there are an insufficient number of athletes who have demonstrated potential to be considered for future National Teams. How will the ONTARIO AMATEUR WRESTLING ASSOCIATION Selection Committee decide who receives funding? WRESTLING ASSOCIATION by no later than January 31, 2019, clearly indicating how they meet a residency exception(s). Athlete’s applying for a Residency Exception related to exception (a) above, who are training at an NSO- approved National Training Centre MUST include a letter from the NSO outlining their support for the athlete, the progress the athlete is making and the athlete’s potential to make the national team level. Additional documentation may include, but shall not be limited to an explanation of why the athlete is training out of province, whether or not the athlete was formally invited by the NSO, what additional opportunities are being made available beyond those provided in Ontario; and any other information that will illustrate that the athlete is receiving enhanced training while still meeting all obligations of the ONTARIO AMATEUR WRESTLING ASSOCIATION . 3. Submit regular (Monthly) training logs to the PSO/MSO to track progress against the PSO/MSO- approved competition and training plan. • Athlete must not receive financial support from any other provincial/territorial athlete assistance program. This does not include academic scholarships, bursaries, student grants, student loans, social assistance, disability pensions, and other forms of financial assistance that have nothing to do with competitive sport. • Eligibility will be limited to Ontario junior-aged athletes, ages 11-22 (“junior-aged” refers to chronological age, not a sport’s specific age category - only exception is for PSO/MSOs using 30% of Ontario Card allotment for athletes older than 22 years of age who have been identified as a potential next generation national team athlete by the PSO/MSO’s selection process. OAAP funding immediately upon becoming residents of Ontario. Please contact ONTARIO AMATEUR WRESTLING ASSOCIATION for more information if you are applying for this exemption. • To be deemed a potential next generation national team athlete, the athlete must be age-eligible to compete on the national team in the year following receipt of Ontario Card funding. It is the sole responsibility of the athlete to contact ONTARIO AMATEUR WRESTLING ASSOCIATION Selection Committee prior to January 31, 2019 to request a CCE. The athlete must submit, in writing, an explanation of why they have not been, or do not expect to be re-carded by their NSO. The submission must include a statement from the NSO, signed and dated on their letterhead, confirming that the athlete still has potential to return to the NSO’s carding program in the future. It is the responsibility of the athlete to submit this letter to the PSO; the ONTARIO AMATEUR WRESTLING ASSOCIATION will not obtain this letter from the NSO on the athlete’s behalf. ONTARIO AMATEUR WRESTLING ASSOCIATION will then contact MTCS in writing prior to the submission of the Athlete Nomination Form to seek individual Canada Card Exceptions. ONTARIO AMATEUR WRESTLING ASSOCIATION is not responsible for seeking a CCE for any athlete unless requested to do so by the athlete as detailed above. The onus is entirely on the athlete to determine the impact of accepting OAAP funding on current or future NCAA eligibility and to decide whether or not to accept OAAP funding. The athlete will be required to acknowledge this onus and responsibility when signing the OAAP Ontario Card application form and agreeing to the related terms and conditions of the program. Athletes are strongly encouraged to contact the NCAA Eligibility Center to determine the impact of Quest for Gold - OAAP funding on current or future eligibility for a NCAA scholarship or on eligibility to compete in a non-scholarship NCAA sport. Carding list mid-year will have their Ontario carding discontinued. 2. To be considered, the athlete must have completed high school. It is OAWA Policy that athletes in high school are not eligible for an Ontario card. Special consideration for mature students returning to high school may be provided (for example, a ‘mature’ student returning to school to complete high school) but only if the athlete is ineligible for OFSAA participation according to the guidelines of that organization. Athletes must apply to OAWA for this consideration. 3. To be considered for carding, the athlete must be participating in a year-round training and competition program at a recognized Junior/Senior Training program under the guidance of a Coach with a minimum NCCP level 3 Certification, or equivalent under the new NCCP. Athletes being considered or in receipt of carding must participate in their designated (age group) Provincial Championships, National Championships (for Ontario) and Canada Cup. Note Juniors must participate in the senior portion of Canada Cup, or in the Junior division of the 2018 Ontario Cup. The Quest for Gold Ontario Athlete Assistance (carding) Program is targeted at athletes 23 years old and younger. OAWA can allocate up to 3 Men’s and 3 Women’s cards to athletes beyond 23. Must meet all other carding criteria (have completed high school, etc.). Must place in the top 50 overall on the carding list. Juniors who receive enough points to be eligible for a full card will be awarded a full card and the split card will be awarded to the next Junior on the list. Points will be tallied, and the top point earners will be selected in order of points earned. MINIMUM STANDARD – to be eligible to be carded, athletes must place in at least the top 4 at the most recent National Junior (Freestyle) Championships prior to carding or place in the top 6 at the most recent National Senior (Freestyle) Championships the year prior to carding. OAWA has no criteria for ranking an athlete who is unable to meet these requirements as detailed above due to illness, injury or pregnancy. Points earned at various events (note: 82 Kg. Women’s is not a CAWA recognized weight class, so athletes will not earn points from that class). * Athletes may gain points in the Canadian Junior or Juvenile events, but not both. If earning in both, the higher placing points will be counted. Note: Athletes may earn points in either event, not both. If earning in both, the higher placing points will be counted. Points for Placing: 1st – 6 pts, 2nd – 5 pts, 3rd – 4 pts, 4th – 3 pts, 5th – 2 pts, 6th – 1 pt. Note to be eligible the event must be open to all members of the same age group. Must be a registered member of the OAWA, in good standing. Must agree to allow OAWA to use their photo and information for promotional purposes. Must agree to abide by all OAWA Policies (Harassment, Code of Conduct, etc.). Must agree to donate their time in service for one day at least one OAWA sponsored Ontario Development Program camp or clinic per year. 2016-2017 Carded athletes not meeting the donation time criteria will have five (5) carding points deducted from their 2018-2019 total. 2019-2020 Carded athletes will be required to comply with this requirement as well. For the conditions above, the onus is on the athlete to satisfy these conditions. Failure to do so will result in a loss of a maximum of five (5) carding points in next year’s tabulations. They provide a signed Doctor’s note indicating they are unable to participate. They provide a signed letter from their school Registrar for a College or University student showing that they have a pre-scheduled exam within 48 hours of the event. They can show proof satisfactory to OAWA that they have participated in a Wrestling Canada Lutte National Team program that required them to be away for the Carding required event in question. Note: This means 2018-2019 carded athletes will be required to participate in the 2018 Ontario Senior Championships or 2019 Ontario Junior Championships (event eligibility dependant). Failure to do so may be grounds for removal from the Carding program. Athletes who miss these required events will be eligible to be considered for carding. No allowance for points not earned due to missing the event in question will be given. Note: The ONTARIO AMATEUR WRESTLING ASSOCIATION has no criteria for ranking an athlete who is unable to earn enough points or meet these requirements as detailed above due to illness, injury or pregnancy. Athletes earning enough points prior to being injured will be considered for carding. • best placing from prior year National Senior Championships (Freestyle). • Best placing from prior year Ontario Senior Championships (Freestyle). • Best placing from prior year National Junior Championships (Freestyle). 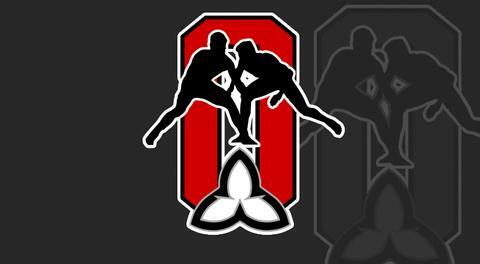 • Best placing from prior year Ontario Junior Championships (Freestyle). • If still tied, the Selection Committee will vote to break the tie. Athletes’ Coaches will be asked to submit a history of their athlete’s competition record, including prior years events. The Committee will make their selection based on an examination of the records. • Funding for athlete being substituted is still available within fiscal year (e.g. full funding for card has not already been paid out to athlete no longer in program). 10.1 Any athlete requesting a “Residency Exception” must submit this information by January 31, 2019 as detailed above. 10.2 It is the sole responsibility of the athlete to provide a full and complete application that meets all stated requirements. ONTARIO AMATEUR WRESTLING ASSOCIATION will neither review applications in advance of the deadline in order to make applicants aware of any missing/incorrect information and/or attachments nor make corrections on behalf of the athlete. Any revisions on the part of the athlete will only be accepted prior to the posted submission deadline. Applications that are sent directly to the Ministry of Tourism, Culture and Sport rather than to ONTARIO AMATEUR WRESTLING ASSOCIATION will not be considered valid or to have been received by the ONTARIO AMATEUR WRESTLING ASSOCIATION deadline. 10.3 An email will be sent by February 1, 2019 confirming receipt. It is the athlete’s responsibility to contact the ONTARIO AMATEUR WRESTLING ASSOCIATION if this email is not received to be certain that the application has been successfully received by the deadline date. 10. 4 ONTARIO AMATEUR WRESTLING ASSOCIATION will publish or make known a draft list of athletes nominated for Ontario Card status by no later than February 15, 2019. In the event of a conflict or inconsistency between the MTCS eligibility requirements detailed in the MTCS material provided to PSO/MSOs and duplicated in the Athlete Handbook provided to each nominated athlete and the eligibility requirements listed in the PSO/MSO Athlete Selection Criteria Document prepared by the PSO/MSO, the MTCS Material/Athlete Handbook shall prevail. Athletes who have not been nominated for an Ontario Card by the ONTARIO AMATEUR WRESTLING ASSOCIATION Selection Committee or who have been nominated for a ‘Half Card’ versus a ‘Full Card’, where applicable will be allowed to appeal that decision by filing a “Notice of Appeal” with MTCS. Appeals will be heard by an Appeals Committee comprised of representatives from the sport community, selected by the MTCS. B) Whether or not the Selection Committee applied the selection criteria in a manner that was free from bias, discrimination and/or conflict of interest. Issues related to the specific content or selection requirements contained in the ONTARIO AMATEUR WRESTLING ASSOCIATION Selection Criteria are not grounds for an appeal and should therefore be discussed directly with the leadership of ONTARIO AMATEUR WRESTLING ASSOCIATION. Please note that before an athlete can file a Notice of Appeal, he or she must first ask ONTARIO AMATEUR WRESTLING ASSOCIATION for reasons explaining why he or she was not nominated for an Ontario Card. If the athlete is not satisfied with the ONTARIO AMATEUR WRESTLING ASSOCIATION response, the athlete may submit a Notice of Appeal, found below. A Notice of Appeal will only be accepted from the athlete or their parent/guardian on the MTCS-provided template (typed or hand-printed, no hand-written entries) through email, regular post, registered mail, courier or delivered in person. One appeal cannot be written on behalf of multiple athletes. The Notice of Appeal must be received by MTCS by noon on the deadline day. Appeals that are delivered personally or by courier shall be deemed to be received on the date of delivery. Once MTCS has received the Notice of Appeal, it will share it with ONTARIO AMATEUR WRESTLING ASSOCIATION, who will then submit a “Response” with MTCS by a specified deadline. The Response will outline why ONTARIO AMATEUR WRESTLING ASSOCIATION believes that the Selection Committee’s decision not to nominate the athlete should be upheld by the Appeals Committee. MTCS will share the ONTARIO AMATEUR WRESTLING ASSOCIATION Response with the athlete. If, after receiving the ONTARIO AMATEUR WRESTLING ASSOCIATION Response, the athlete believes that ONTARIO AMATEUR WRESTLING ASSOCIATION has raised new or additional reasons to justify the Selection Committee’s decision not to nominate the athlete for an Ontario Card, then the athlete will have an opportunity to file a “Reply” with MTCS, responding to these additional reasons. The Reply must be limited to these additional reasons and cannot be used to make submissions already raised in the Notice of Appeal, or that the athlete neglected to include in the Notice of Appeal. The Reply will only be accepted on the MTCS- provided template. Once MTCS receives the Notice of Appeal, the Response, and the Reply (if applicable), it will provide those materials to the Appeals Committee. The Appeals Committee will discuss all appeals at once. During its review of the appeals, the Appeals Committee reserves the right to request additional information from both the athlete and ONTARIO AMATEUR WRESTLING ASSOCIATION. Once the Appeals Committee has reached its decision, it will contact the athlete and ONTARIO AMATEUR WRESTLING ASSOCIATION in writing to communicate its decision and the reasons therefore. Committee on the same or different grounds. Note: ONTARIO AMATEUR WRESTLING ASSOCIATION is encouraged to resolve disputes or disagreements informally with athletes who have not been nominated to avoid, wherever possible, formal appeals.